It isn't easy to add new subway lines or new highways, and so "solutions" don't really exist. If there's one thing Americans can still agree on, it's that America needs to spend more on infrastructure which is visibly falling apart in many places. This capital investment creates jobs and satisfies everyone's ideological requirements: investment in public infrastructure helps enterprises, local governments and residents. Unfortunately, it isn't a simple as spending another trillion dollars. Spending money is the easy part; actually fixing what's broken isn't just a matter of spending more money. In other words, what's broken in Japan remains broken. 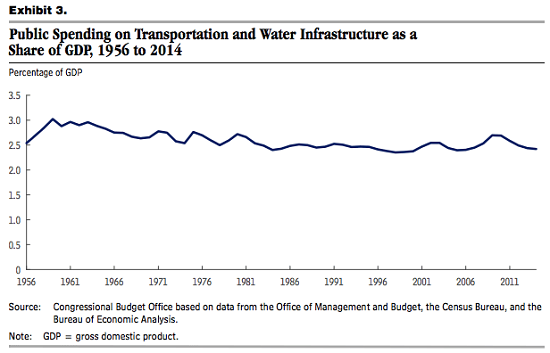 Spending more on infrastructure hasn't fixed what's dragging the nation into permanent stagnation. If you live in any of America's major urban centers (or happen to visit), you know that traffic congestion is now off the scale. From Portland to Las Vegas to Atlanta, traffic jams and crushing commutes are now the norm. Soaring housing costs have pushed workers farther into the exurbs, lengthening commutes and choking highways constructed for a much smaller populace. The population of the U.S. is now a third of a billion people, and the vast majority of the nation's infrastructure was designed for a much smaller populace, a significant percentage of whom were expected to reside in rural counties. 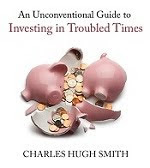 If you look at charts of infrastructure needs and spending, you get a mixed bag. 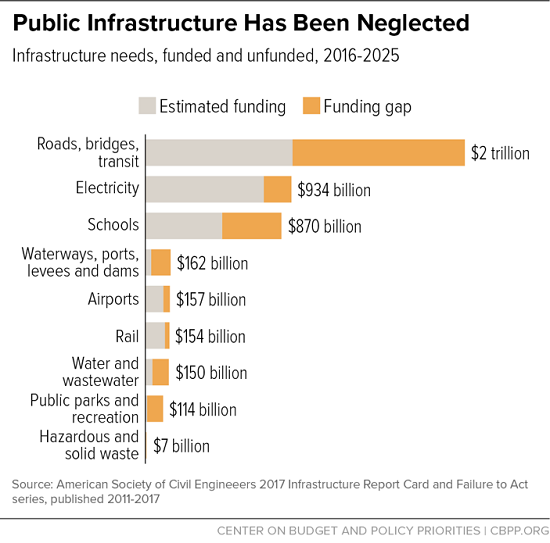 The heavily publicized chart of underfunded infrastructure based on data from civil engineers (hmm, no self-interest here?) suggests the U.S. has been under-investing, yet other charts show a rather steady level of spending over the decades (as a percentage of GDP) -- see charts below. 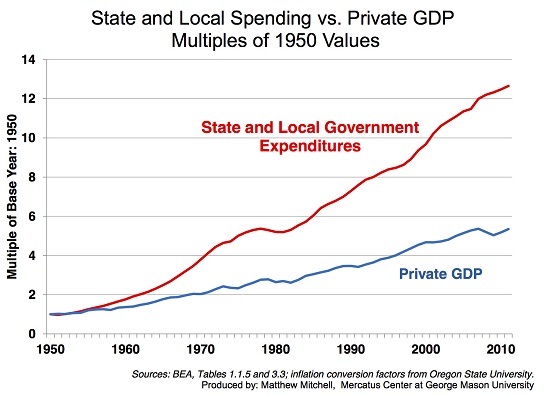 And let's not forget that state and local government spending has soared far above GDP growth: local governments are spending huge sums on something, and if it isn't infrastructure, then maybe budget priorities need to be revisited. The problem few are willing to discuss is the impossibility of changing the big picture of congestion. While bulldozing swaths of cities to lay down a new 6-lane freeway was the go-to "solution" to congestion in the 1960s, that has fallen out of favor for a variety of reasons, including the destruction of urban neighborhoods, the inordinately high costs, the legal challenges and the terribly inconvenient reality that the new freeway quickly filled with vehicles, leaving older roadways just as choked. "Solutions" such as new underground roadways and new subway lines end up costing tens of billions of dollars and take decades to build. It took 24 years after the 1989 Loma Prieta earthquake to complete a new bridge span across part of the San Francisco Bay. Nobody dares speak about it, but a very good argument can be made that America has forgotten how to build large-scale projects in a timely manner, on budget and with a level of quality that doesn't demand immediate repairs. The congestion isn't just on freeways and highways. Local streets are taking a pounding as everyone seeks alternative routes, and subway systems are overloaded. The S.F. Bay Area's BART regional (heavy-rail) transit system is spending billions of dollars repairing aging tracks and other infrastructure, and buying new cars with more room for standing commuters, reflecting the reality that riding BART is now a cattle-car experience of jostling through crowds most hours of the day and evening. It isn't easy to add new subway lines or new highways, and so "solutions" don't really exist. This isn't what people want to hear, but when you add millions of residents and vehicles to urban areas, you get congestion that can't be solved by adding a another lane or another subway line in a decade or two. These are the discussions we need to have, but instead we're opting for the magical-thinking and oh-so-easy "fix" of everything will be fine if we just spend another trillion or two. 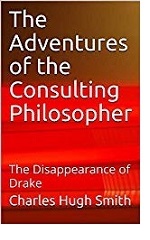 Thank you, Klaus-Peter L. ($50), for your immeasurably generous contribution to this site -- I am greatly honored by your support and readership.